Hansford Parts and Products partnered with the Rochester Institute of Technology (RIT) to remanufacture obsolete milling machine parts. 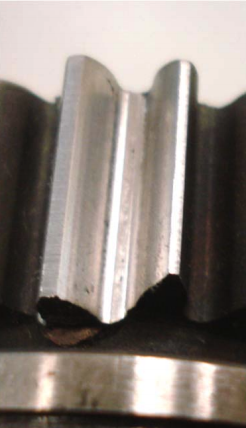 Purchased in 1966, Hansford has continued to use a Knapp rack milling machine from Germany to make keyway broach cutters. 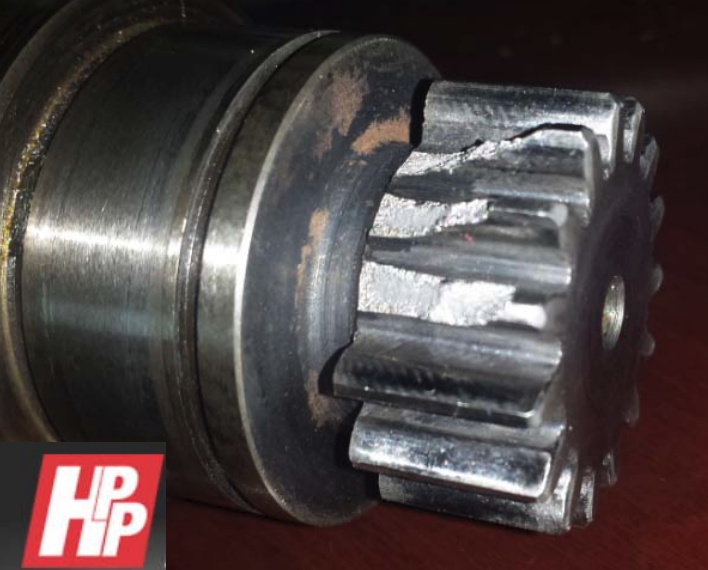 Due to the fact that the German Knapp rack mill is no longer in production, it became problematic when a bearing failure lead to broken teeth on a gear. 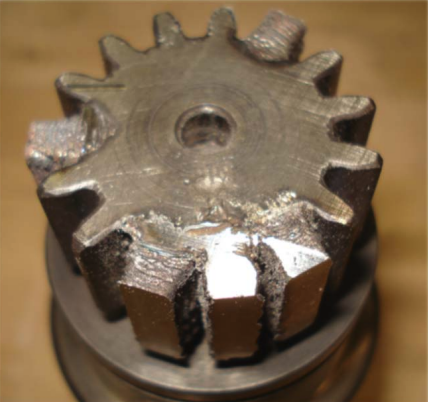 Without the gear, the milling machine became completely useless and would have gone to the scrap yard. However, Hansford initiated a remanufacturing campaign to resolve the issue. To implement the remanufacturing campaign, Hansford teamed up with expert engineers from RIT’s Golisano Institute for Sustainability (GIS). 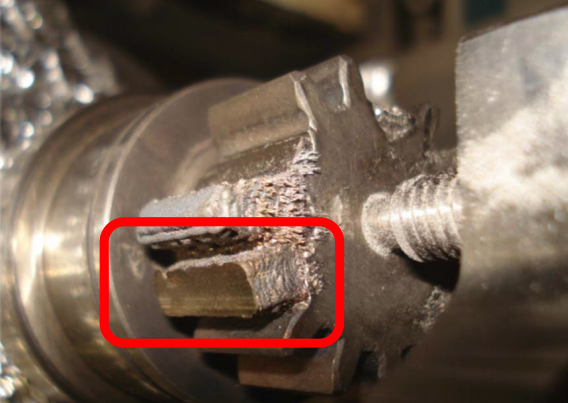 Together, they developed a plan to use directed energy deposition (DED) to add metal onto the broken gear teeth. What exactly does “directed energy deposition (DED)” mean? This refers to the “LENS” technology provided by RIT-GIS. 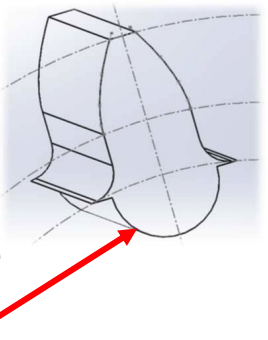 LENS technology is an additive process that uses powdered metal and laser sintering to produce near-net shaped parts for the cladding of surfaces, new component builds, or existing components (as was the need in this case). 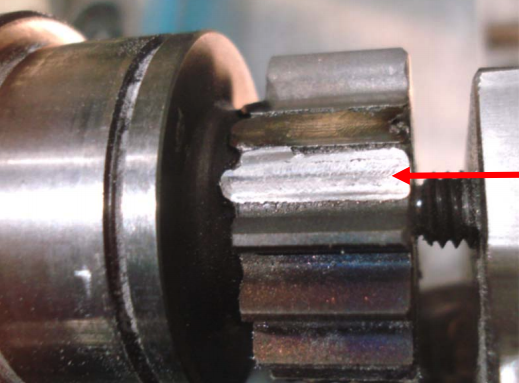 Before we get into how this technology was used to repair the gear, let’s examine how it works. Using a continuous-wave fiber laser, the LENS system applies single or multiple metal powders into a metal pool. 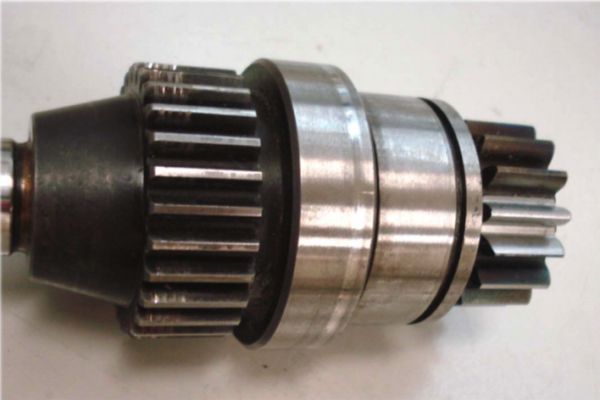 The hybrid version of LENS technology (which was used to repair the gear) combines the laser head with a vertical milling center for an all-in-one additive and subtractive capability. The rack milling machine is now running great and back on the job. If you want to take advantage of huge costs savings by getting your Hansford products remanufactured, contact us. During our conversation we can discuss feasibility, potential cost savings, and determine if remanufacturing is the best-fit option for your machine needs. Read more about our partnership with RIT here.